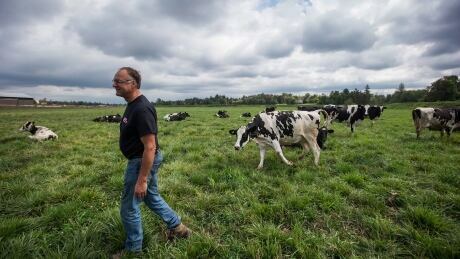 ​ A member of an influential Congressional panel is urging the Liberals to loosen the state's grip on Canada's protected dairy sector to find a breakthrough in North American Free Trade Agreement talks. Republican Tom Reed, a member of the House ways and means committee, says in a television interview airing today that providing American dairy farmers with more access to the Canadian market may appease President Donald Trump. Canada's system of supply management in the dairy sector has been a key sticking point in talks and a frequent target of Trump. Reed, a Trump supporter, says in an interview with Global's The West Block that the Liberals need to remove barriers around the sector, but not necessarily get rid of supply management. The politically thorny issue for the Liberals remains a major obstacle in NAFTA negotiations as discussions drag on without an agreement after 13 months of talks. Canada and the U.S. are trying to finalize a text that could be submitted to the U.S. Congress by the end of the month to join the deal the Trump administration signed with Mexico.